Anchor Lands conceptualized Oxford Parksuites to offer learning-centered homes right in the core of Manila's version of Chinatown.Located along G. Masangkay Street Corner La Torre Street in Binondo, Oxford Parksuites is found just right across Wharton Parksuites. Anchor Land Oxford Park Suites is a 40-storey luxurious residential condominium that stands in the middle of the so-called "Chinese School Belt," where various prestigious schools are situated, including St. Stephen Elementary School, Hope Christian School, Chiang Kai Shek College, Philippine Academy of Sakya, Uno High School, and Philippine Cultural High School. Oxford Parksuites offers luxurious condominium units that are very ideal for investment. Parents who live in far locations but would like to send their kids to the schools around the area would find this development a very ideal second home that is very convenient for their children. Aside from the numerous learning institutions around it, Anchor Land Oxford Parksuites is also accessible to other known establishments and landmarks, like places of worship (United Evangelical Church of the Philippines, San Jose de Trozo Church, Binondo Church, Sta. Cruz Church), hospitals (Metropolitan Medical Center, Clinica Arellano General Hospital, Manila Doctors Hospital, Philippine General Hospital), shopping malls (168, Plaza Fair, Tutuban Mall), markets (Arranque, Bambang, Divisoria), banks and financial institutions, and other places of interest and recreation (Rizal Park, Intramuros, Pasig River). Its "high-traffic" location offers residents the advantage of living near a wide selection of businesses and commerce. Binondo's renowned history makes Oxford Parksuites more exceptional. It houses various kinds of trade and industry, including food, gadgets, novelty items, textile, and all other kinds of merchandise.Just like Quiapo, Manila's Chinatown has become the hottest shopping spot for people who would like to make the most out of their money. Transportation-wise, Oxford Parksuites is also very convenient to all types of public transportation, including the LRT-1.The dynamic lifestyles of both business-minded and family-oriented individuals will definitely suit the type of community where Oxford Parksuites belongs. Experience a well-balanced life amidst Manila's busy neighborhood only at Anchor Land Oxford Parksuites Binondo Ph. Surround your family with some of the life’s wonderful pleasures that a modern living space has to offer. Indulge in a delightful hop-in and hop-off leisure, amazing dining experience, fantastic social living, and whimsical retail discoveries with The Oxford Parksuites–a modern residence featuring some of the finest amenities in the Philippines. The Oxford Parksuites is an eco-friendly environment that offers freedom of space plus resort-inspired premium amenities to take your living experience to the next level. The Oxford Parksuites, a 4-storey luxurious residential condo, was conceptualized by Anchor Lands Corporation. It offers learning-centered homes in Chinatown. Situated in the Philippines’ finest master-planned commercial and business district Chinatown (along G.Masangakay Street in Binondo, this 40-storey condo stands right in the Chinese School Belt and it borders several prestigious schools like St. Stephen Elementary School, Uno High School, among others. The property’s design is in such a way that it allows privacy, high-quality daylight, and natural ventilation .Moreover, it also allows multiple sights of the beautiful Chinatown plus the nearby sprawling regions. These units come in 1-bedroom, 2-bedroom, 3-bedroom, and four-bedroom modern flats. Adding to Oxford Parksuites’ uniqueness and splendor, the project’s key source of inspiration has to do with nature’s elements. Talk of the open spaces, classy kiddie pool, reliable game room, function rooms, highly equipped outdoor fitness center, as well as the bicycle tracks. Don’t forget the refreshing plus relaxing modern swimming pool. In fact, the Oxford Parksuites will create a natural atmosphere of fine urban living. Anchor Land (ALHI) is a leading real estate developer in the Philippines. They have been in this industry for more than 20 years. They use premium building materials, modern technology, and contemporary design techniques to develop their properties. Most of their residences are strategically located, making it easy for clients to access manor amenities like schools, hospitals, markets, and even shopping malls. Their mission is to transform Binondo’s City space. With a judicious eye for new opportunities, this company decided to capitalize an eminent demand for luxurious condos in Binondo. The Oxford Parksuites is just a walk away from LRT station. In fact, this property is very convenient, especially to those who prefer public transport. It can be accessed through the G.Masangkay Street. This makes it easy in terms of accessing the CBD. In a nutshell, The Oxford Parksuites elevates the bar of thrilling and fast-paced lifestyles within nature. The Oxford Parksuites has been taunted as the ideal home to zealous minds and the nation’s emerging as well as the most promising modern urban district. This city (the Chinatown) houses other great projects that went on to pioneer the promotion of cosmopolitan living. The Oxford Parksuites’ unique design contribute to exclusivity and splendor that this project embodies, and this sets it apart from other competing residential development projects in this city and the whole country by extension. Anchor Land Holdings Oxford Parksuites in Manila, Philippines is a premier Condo project available for sale. If you're looking to rent or purchase Oxford Parksuites, then check here first. We have full details of Oxford Parksuites updated regularly as well as everything you need to know about the availing and booking process, broken down into stages that includes selecting a unit, choosing a payment plan and buying your dream home at the right price. For price list, free site tripping or showroom visit, personalized service, model house, unit plans, floor plans, payment terms, CHAT LIVE with an agent 24x7. We are Remax Perfect Homes. Always only buy from PRC licensed Real Estate Brokers and Agents. The Oxford Parksuites Binondo is a condo for sale in Manila that promotes learning and development for school-aged children by providing them building features, such as amenities and facilities, that encourage them to study more without hesitation. Additionally, the atmosphere within this neighborhood, where most residents are taught the age-old Chinese tradition, so making your home here is just like making you comfortable even outside of the project’s premises. Moreover, the Oxford Parksuites provides homeowners’ children with tutor rooms as part of the residential project’s main amenity. These tutor rooms enable the students to study without the distraction of modern technology, such as games consoles, television, toys, and other electronic gadgets that make them poor in academic performance. The Binondo district is known as Manila’s Chinatown where more commercial centers, entertainment hubs, Chinese schools, fine dining cuisine, Chinese restaurants, and more financial centers where most Chinese businessmen are based, and here the Oxford Parksuites is situated along G. Masangkay St. The site is just a walking distance from St. Stephen School, the first Christian-Chinese school in the country and one of the biggest Chinese schools in Metro Manila. Other Chinese schools that lie near the site is the Hope Christian School and the Chiang Kai Shek College, among others. Moreover, this primarily safe and calm neighborhood is the favorite destination of Chinese from the province where they send their children to study and the Oxford Parksuites really suits the kid’s needs to experience the most convenient living than anywhere else in the metro while they pursue their studies. The Oxford Parksuites Binondo as a whole is just ideal for the entire family. While it’s wholesome and unique amenities are quite distinct from any other condo in Manila, the location, affordability, and units configurations are also factors to be considered when purchasing a piece of this heavenly paradise in the middle of Manila. The project offers more convincing residential units that will suit every homeowner’s personal preference. Units come in spacious Studio with an average floor area of 37.4sqm, and 1-BR units at 56.3sqm, 2-BR units with 95.20sqm including balcony, and 3-BR units with 148.9sqm of floor area including balcony. 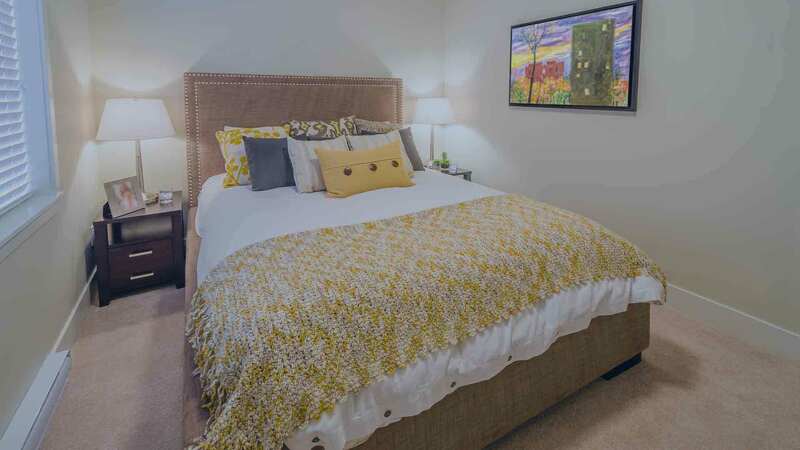 Each unit is equipped with automatic fire sprinkler system, automated fire detection and smoke systems, roomy living dining, and kitchen areas, among other conveniences. As an addition to the tutor rooms as one of the Oxford Parksuites Binondo’s prime amenities, this stylish condo community has dedicated the entire 8th floor as an amenity hub, which includes a library with Wi-Fi, reading lounge, function room, recreation rooms, a fitness center near the pool side, a lap pool, kiddie corner with rubber mat flooring, amenity lounge, Taichi and exercise area, game room with billiards table and table tennis, shower rooms, and other impressive amenities and facilities.